With no UFC this weekend to wet your combat sport’s appetites, the MMA rumor mill has entered a cruise control mode. In week where boxing crossover fights and Bellator dominated the MMA news cycle, brace yourself for the Super Bowl of Mixed Martial Arts to make a big push the deeper the Northern hemisphere falls into Spring. The UFC sees what is happening around them and they must be planning big moves to steal the spotlight back on their Vegas campus. Muscle up buttercup. 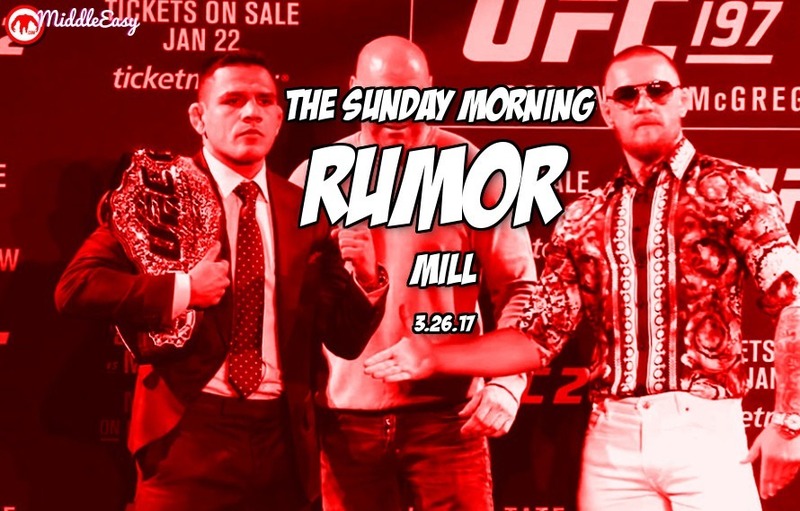 Get a good stretch in, stay hydrated and put on some loose fitting attire because this is your Sunday Morning Rumor Mill. Rumor is Bellator will make a heavy push towards Mystic Mac killer and UFC lightweight Joe Duffy when he hits free agency. Bellator’s push into the UK and Ireland make Duffy a target for their next big free agent splash.